This service is not available from Australia, New Zealand and the Pacific Islands. Enter voucher code WATCHNRL20 below. Discount on first subscription payment only. All subsequent payments at full price. Cancel any time. New customers only. Offer ends midnight 28 April AEST. Subscribe now and start watching instantly. All 2019 NRL Premiership matches available LIVE and on demand. Every pass includes access to watch the State of Origin Series. All subscriptions automatically renew. Cancel at any time. Do you require a business subscription for a venue or pub? It can be purchased in or outside Australia from watchnrl.com, however the content within the Service can only be viewed from outside Australia, New Zealand and the following Pacific Nations - Fiji, Samoa, Tonga, the Cook Islands, East Timor, Solomon Islands, Niue, Nauru, Vanuatu, Kiribati, Northern Marianas, Tokelau, Tahiti, Tuvalu, New Caledonia, American Samoa, Marshall Islands, Palau, and Federated States of Micronesia, Papua New Guinea, Wallis and Futuna, Iles esparses and French Polynesia (for example, if you are living, working or holidaying outside of Australia). The service allows you to watch NRL matches in real-time on supported personal computers, tablets, mobile devices and TVs. You can also catch up on any of the action you've missed (or want to watch again) with our on-demand service. Watch NRL also gives you LIVE access to the 24/7 FOX LEAGUE Channel for all of the latest NRL news, in-depth analysis and entertainment shows. Watch NRL may also offer other subscriptions throughout the year, as well as free trial promotions. How does Watch NRL work? Once all of the above are in place, you are able to connect and start enjoying Watch NRL. 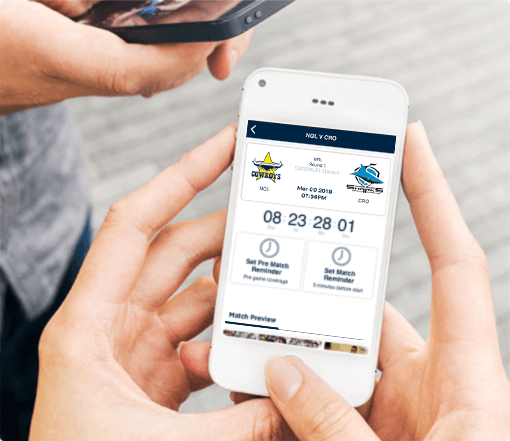 The companion Watch NRL apps are available on iOS and Android mobile and tablets. Also available with Airplay and Chromecast.